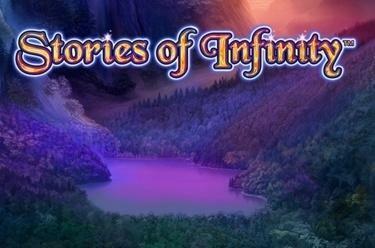 Play Stories of Infinity™ online for free now! Stories of Infinity™ is played on 5 reels with up to 50 win lines. 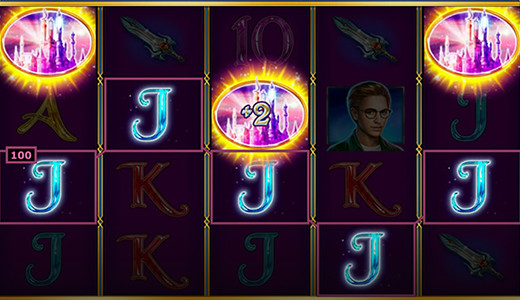 In this slot with a fantasy setting you are wooing the beautiful princess, ruler over a wondrous country, with every spin. The princess symbol scores the highest winnings. The aim with Stories of Infinity™ is to land 5 identical winning symbols on one of the pay lines. These start on the first reel and run across the reel set to the right. Only with the princess symbol can you also win from right to left. The dragon might be a little terrifying but it substitutes for all symbols in the game except for the castle, the Scatter symbol, and therefore increases your chances of winning. The princess is something special too: As a successor to the throne she doesn't have to abide by the laws of the reels and grants you winnings even when she appears from right to left on the reels. The path to her castle is also the road to free games: If 3, 4 or 5 castle symbols land on the reels in any position, 10, 20 or even 50 free games are triggered! A castle is seldom found alone: Some of the Scatter symbols display a number (+ 2, + 5, + 10, + 20 or + 50). If such a Scatter symbol is part of a combo triggering free games its number is added to the free games won. E.g. : 3 Scatter trigger 10 free games, if the winning combo contains a Scatter with a 5 you win 15 free games. Free games are played with the settings from the triggering game and you can win further free spins during a free game feature. A beautiful and aloof empress whose castle is guarded by a white dragon and two young heroes who only have one aim: to conquer the heart of the successor to the throne. Who will be ahead of the game? After all, you have to pass through a reel forest fraught with danger and gain access to the beautiful ruler's castle. Join the two because who knows? Maybe you win the favour of the princess and enter her treasure chambers full of Twists!